This is one of my favourites; it more Post-it notes sticking out of the top than any other on my bookshelf. That’s because there are so many insights inside that I do not want to lose. Please do not be misled by the word “design” in the title. 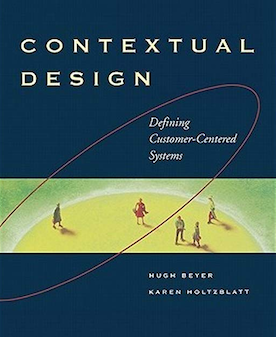 The important part of this book is about contextual inquiry, where the developers work with the users to understand the work needs before attempting to design anything. Beyer and Holtzblatt give us a raft-load of ideas on how to get close to the customer, and how to understand what is really going on.